We are excited to incorporate two keynote speakers and two plenary speakers into this year’s UX in Libraries conference programme. 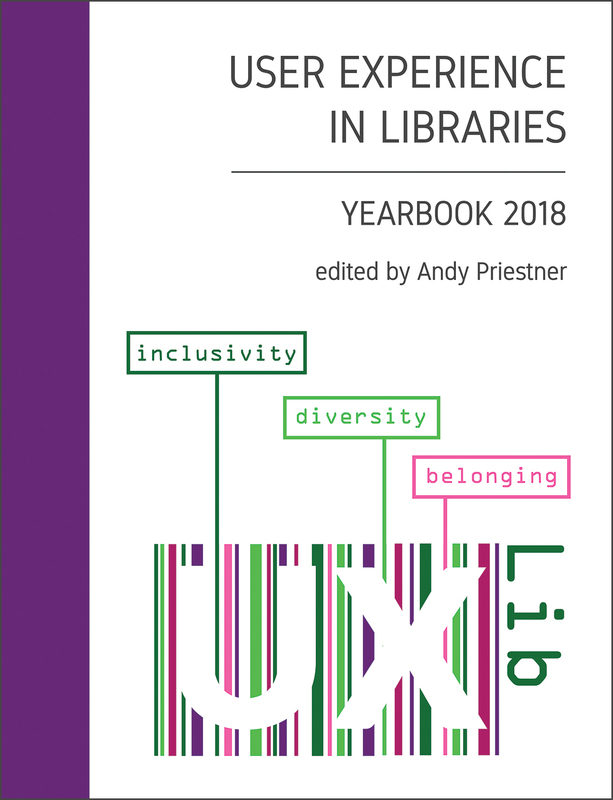 All four will be talking to our chosen theme of inclusive UX, exploring different experiences of using libraries and the opportunities that exist to make our services better for everyone. The titles and abstracts of their talks are detailed below. There is still time to book a place at UXLibsIV however there are now only a limited number remaining. Director of Agile Development and Inclusive Design at inUse, Gothenburg, Sweden. Abstract: There is no such thing as an average user, but still lots of time is spent trying to create great products by designing for those illusive average users. When trying to design for the normative users we risk creating a product that’s neither here nor there and that doesn’t create any real value for anyone. If we instead focus on the extreme users who differ from the norm it can help us design innovative solutions that work better for everyone. The environment dictates the norm, and whenever we are placed in a situation where we differ from the norm we become extreme users. Becoming extreme increases our awareness of the enviroment, making us better equipped to describe our needs and solve problems. Some people spend their lives being extreme in many aspects of their lives, making them experts. Their expertise can make a world of difference. Inclusive design can be as easy as you want it to be, and there are plenty of examples of successful mainstream products that were initially designed for extreme users or extreme situations. I will give you stories from the trenches and hands-on tips to take home and try out yourselves. Director, Roskilde University Library, Faculty Library of Social Sciences, Administrate Library at the Royal Library, Copenhagen, Denmark. Abstract: The Great Wall of China, the Berlin Wall, the fence between USA and Mexico and Offa’s Dyke. For all time humankind has been obsessed with walls, fences, dykes and ditches. They are a material manifestation of the desire to manage inclusion and exclusion in our institutions and communities, e.g. universities, are founded as exclusionary places and on a daily basis conscious and unconscious acts of exclusion take place. (Inclusive) UX in theory and practice should always be seen in the context in which we operate and in his talk Christian will outline why inclusive communities are crucial for healthy societies and what obstacles are hindering inclusion on different levels. Moreover, Christian will explore how inclusion and diversity can empower a sense of belongingness and finally why and how, libraries and librarians should be leaders in advancing this cause on campus and in communities. Senior Lecturer in Literature and Learning and Teaching Lead for Humanities, Religion, and Philosophy, York St John University, UK. Abstract: Drawing upon her experiences in libraries as a teenager in South London, a student in Yorkshire, a study abroad student in the Southern United States, and – more recently – as a lecturer, academic, and learning and teaching specialist, in her plenary talk, Janine will reflect on what it means to move into and out of the library space as a woman of colour who additionally researches the experiences of women of colour. Janine has spent the majority of her academic life in the UK, but studied abroad in the United States almost 15 years ago in 2004. While she was there, she encountered the library in the Sonja Haynes Stone Center for Black Culture and History at The University of North Carolina, Chapel Hill. This, she found to be a pivotal experience that shed light on the fact that libraries had, to her, rarely felt as though they were safe or racially neutral spaces. Taking inspiration from this year’s paper presenters, and drawing upon literary representations of library usage alongside her personal narrative of learning and reading, Janine looks to celebrate the radical possibilities of the library space for black readers and researchers – especially as this links to attainment and widening participation in Higher Education. School of English, University of Leeds, UK. Abstract: As trans people become increasingly visible in the media, and many organisations develop new trans policies, awareness of the legal rights of trans library users is growing. But how are those users experiencing our libraries, and what can we do to make those experiences more positive? In this talk, Kit moves beyond the legal aspects of inclusivity to consider the factors that make a real difference to trans library user experience. What anxieties might trans customers bring to the library, and how can we allay them? How can we make our library buildings trans-inclusive? How can we make interpersonal interactions with library staff work better for trans people? How can we work towards making our service not just inclusive, but intersectionally inclusive? And just as importantly, how can we support library staff to make those positive user experiences happen?